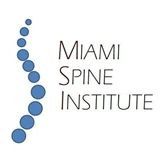 Miami Spine Institute (Miami) - Book Appointment Online! At the Miami Spine Institute, Dr. Rajadhyaksha & Dr. McCarthy believe in using the least invasive treatment option possible. Noninvasive treatments include pain management, rehabilitation, and physical and occupational therapy. When surgical intervention is needed, Dr. Rajadhyaksha and his team use the latest in technology and innovation to perform the least invasive surgery possible with the most effective and safe results. Minimally invasive microsurgical techniques are used on an inpatient or outpatient basis for certain interventions, including discectomies, while major surgical capabilities are available for more complicated problems. Dr. Rajadhyaksha performs spine surgeries at the new state-of-the-art, technologically advanced operating rooms at Baptist Hospital, Doctors Hospital, Kendall Regional Medical Center, and South Miami Hospital. I was impressed with the amount of time the doctor spent with me to make sure I understood all the options and possibilities. I wish the wait time wasn't so long but at least after meeting him, I understand why. The question should be the visit with the office Miami Institute for Joint Reconstruction (Miami, FL) in Kendall 11801 SW 90th Street Suite 201 Miami, FL 33186. Very long wait. I got there early so that I can fill the paper work, but I ended up waiting over an hour to be called. Plan ahead if you are a big fan of one of the doctors in this office.